Ion Developments and Curlew Capital celebrated completion of the £49m Lime Street development with a visit from the Mayor of Liverpool, Joe Anderson, and the Lime Street panel artist, Anthony Brown. The scheme benefits from its adjacency to Lime Street Railway Station which has an annual footfall of almost 14 million and has delivered a mix of uses including over 28,000 square foot of retail and leisure space, a 412-bed student accommodation block and a 101-room Premier Inn hotel. Lidl holds a significant amount of retail space with a city centre store offering workers, residents and commuters a convenient opportunity to access Lidl’s products without visiting an out of town superstore. Ion and Liverpool City Council were keen for the project to reflect the street’s vibrant heritage. Artist, Anthony Brown, shaped that vision by creating large-scale graphic art work panels that act as an impressive welcome to visitors. Anthony explained his inspiration for the graphic art on the Lime Street development: ‘With this work, we tried to capture and reflect the history of a truly unique street – and one of the most important areas in the City of Liverpool. We created an accessible ‘Quantum Timeline’ using illustrative graphic images and archived text to immortalise the development, buildings, business and people of Lime Street. It will serve to showcase ‘what was’ as we celebrate ‘what comes next’.’ Anthony’s panels range from iconic Liverpool landmarks like the Guinness Clock and The Futurist to portraits of the original founder of what was ‘Limekiln Lane’ and Liverpool’s folklore, Maggie May. 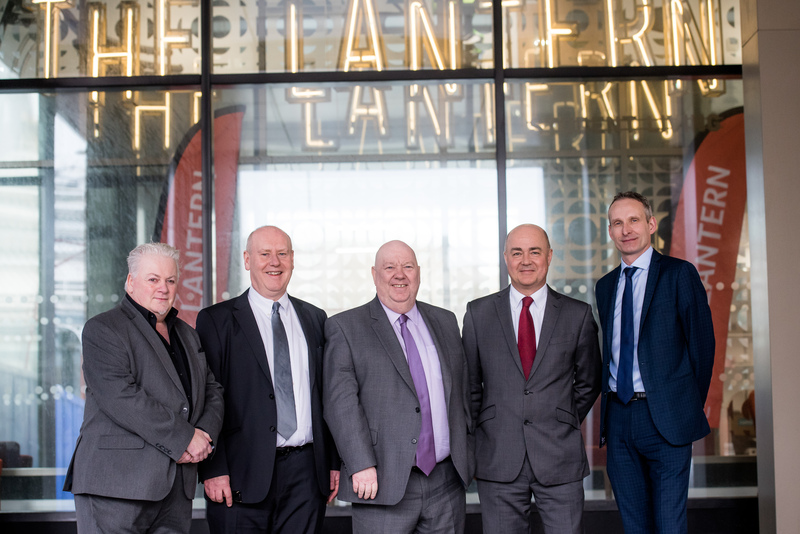 Attendees welcoming Liverpool’s Mayor, Joe Anderson and Artist, Anthony Brown were Ion’s managing director, Steve Parry, Curlew Capital’s head of investment management, Ian Scott and ISG’s regional director, Paul Munro.